Loved it! Our family Thanksgiving is like a Saturday Night Skit (when SNL was decent). Dysfunction Junction got nothing on us. I always volunteer to play with kids outside to escape the madness. You are anti-family! Thanksgiving is about slowing down and savoring family and food. Stores being open is just gross and people who shop all these stupid sales are idiots hell bent on destroying the America I love. You’re a disgrace. Seriously, hell bent on destroying America?! Go eat a piece of pumpkin pie, take your meds and relax. I thought Thanksgiving was about being thankful, whether or not you have family. What about those people who barely have enough food for their children? Would you expect them to sit home not working, losing money because people like you know better and would shut everything down? Get over yourself. I am so glad you are either part of the ten percent of the population whose family is not dysfunctional, who lives a million miles away and can’t afford to travel, or who is living in a state where pot is legal. Please stop following Snarky if you can’t handle the truth! Again, you speak the truth!!! And, you do it with humor! Thank you for your brutal honesty. I feel the same way about the family members who relish waiting in line to save a buck….let them have at it. Much easier to coverse at a normal volume with those whose company you actually enjoy. Kudos, Snarky!!! And some people ^^^^ totally lack a sense of humor. I love working on Thanksgiving! I get time and half and that helps pay my bills. Oh, thank goodness. I posted a similar rant last week that ticked a lot of people off. Oops. Not. Anti-family is dosing their Kool-Aid with arsenic. Happy freakin’ Thanksgiving from a tired mutha who just finished her shift! Bring on the bird!! Sorry, but why should a non-religious holiday not get the same respect as a religious one? That’s the worst argument in favor of stores being open I’ve ever heard. Thanksgiving is a thankfully nondenominational holiday that most people enjoy, and really ought to get more deference than religious holidays. As far as the hours argument goes, I’ve worked those sorts of jobs and there are plenty of customers in the lead up and certainly in the days after to get all hands on deck and make up any loss. And nobody’s forcing anybody to go spend time with relatives they don’t like. Stay home and take a rest day, clean the house, whatever. The workers who get run ragged and treated like dirt by crazy holiday shoppers deserve a breather day. But American consumerism apparently disagrees. I also find it hugely ironic that it is the big box retailers that “just have to” stay open, and not the mom and pops who actually are struggling in this economy – every locally owned store in my town was closed today. Hell, for that matter, all four McDonalds in my town were closed today – I guess they get the health of the human spirit if not the body. Oh, and about the Fourth… It’s an evening holiday to start with, so easier for a lot of people to get to. The fare is usually cheap and easy, so not much need to respect the work that goes into it, nor is it often a sit-down-around-the-table kind of thing. And a lot of years you’ve got to skip watching fireworks ‘cuz you have to go to work the next day and the fireworks don’t start until 9 or 10pm. Not to mention the number of towns that have outlawed fireworks, in some places even professional shows. 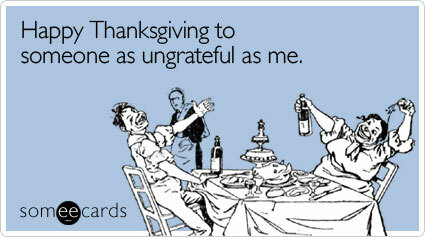 It just isn’t a holiday that garners the same level of deference that a lot of people feel toward Thanksgiving. Where is the outrage for our military men and women, are they not working? What about doctors and nurses? Police and Fire? If you don’t want to shop, then don’t. But don’t have a baby, or get injured on the holiday either.